Count backward to 1958. How many early Valley landmarks still hold their identity today after all that time? One of those landmarks is the Phoenix Pipe Band. 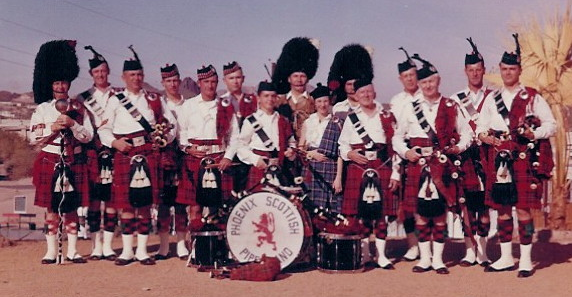 The Phoenix Pipe Band is the oldest continuously running pipe band in Arizona. Joe Leonard and his brother Bill moved to Phoenix in 1958 from upstate New York, where both brothers had played drums with a pipe band. The magnetism of their interest drew a few others from Tempe who played pipes and drums. 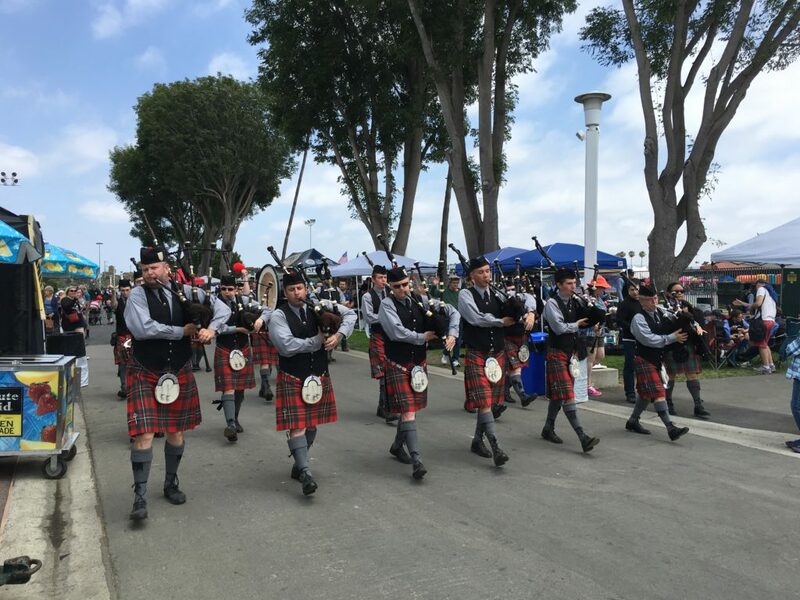 They set up a practice in Coronado Park, and within a short time they had collected several other musicians who had gotten their start in military pipe bands in Scotland and Canada. The Phoenix Scottish Pipe Band was on its way. The members’ teamwork in music overcame the mix of tartans in the kilts they wore. The band’s public debut came in 1958 at the Prescott Rodeo Parade. “We were quite a sensation with the cowboys,” Joe Leonard recalls. In time the band upgraded from the original Pakistani-made bagpipes to Scots-made pipes. They also settled on military-style uniforms with kilts in the tartan worn by the Seaforth Highlanders, a Scottish unit of the British Army. The Band’s increasing quality and inherent attention-getting capability eventually attracted a sponsor. Pepsi Cola offered financial support in return for presence at promotional events and other marketing visibility. 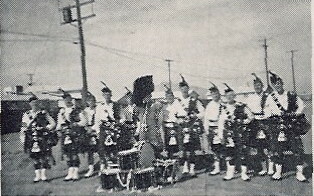 In addition to the use of a bottling plant as a practice location, the Band got new kilts, changing to the red MacGregor tartan at Pepsi’s request. “Phoenix was a young city then,” Joe Leonard says. “We played for the grand opening of every gas station that had a Pepsi vending machine.” They also played for housing developments, bowling alleys, the Tombstone Helldorado Parade, anything where ample sound and color were desirable to attract an audience. Pipe bands, like any other organization, have their ups and downs. A group of pipers and drummers splintered from the Phoenix Pipe Band, operating under the sponsorship of the Shrine. But Phoenix kept going, its members continuing their involvement in all kinds of Celtic arts. 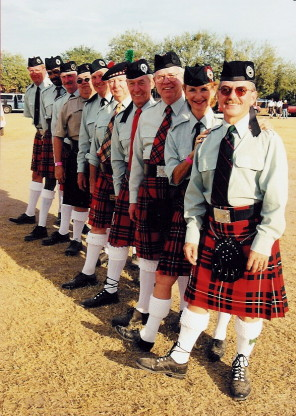 Joe Leonard and Leonard Wood Jr., a piper who joined the Band in 1961, teamed up with the Arizona Scottish Society to create the first Arizona Scottish Games in Encanto Park in 1966. The wardrobe of red MacGregor kilts has clothed “hundreds” of pipers and drummers through the years. 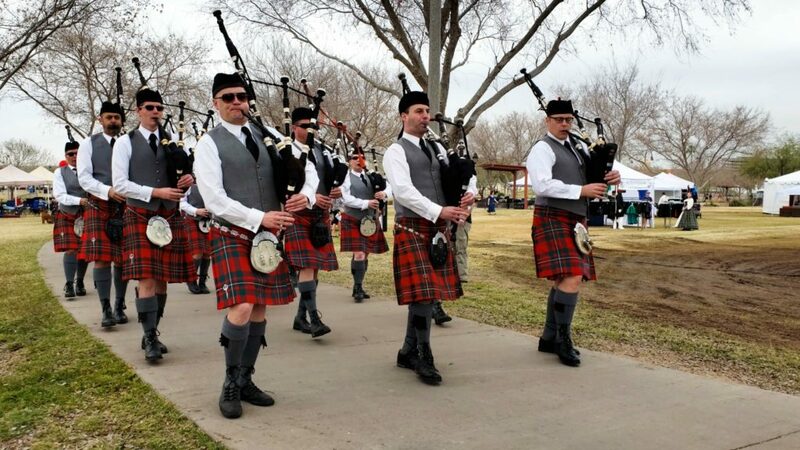 The Phoenix Pipe Band is the common point from which band members went on to the Argyll Pipe Band, Shrine Pipe Band, Phoenix Police, Mesa Caledonian, Spirit of Scotland, Seven Pipers Society, and other bands in Arizona and elsewhere. Len Wood took over the position of pipe major for many years. He lead the band to become a staple in the valley and around Arizona, integrated Scottish culture into the community, and established the Piping Weekend event in which pipers receive professional level instruction with an opportunity to play for critique. This unique event in an annual workshop at the Irish Cultural Center and serves as great way to build the Scottish music community in Arizona. Under Len’s direction the grade 4 band transitioned from a show band playing local games to a competition band with goals of taking on the best bands in WUSPBA. This surge in competition focus came with a new drum sergeant, Kyle Reich. In the past 5 years, Kyle has made the drum corps one of the premiere lines in the association. In 2016, Len stepped down as pipe major and passed the torch to Jim Ryan. That same year Phoenix Pipe Band won the WUSPBA aggregate grade 4 pipe band title. Jim Ryan stepped down at the end of this season and named Jeff Anderson the new grade 3 pipe major. Phoenix Pipe Band also established a grade 5 band under the direction of pipe major Jack Johnson to bring in service band and student players looking to further their musical education. In 2017, Phoenix Pipe Band was promoted to grade 3. It was a huge accomplishment fed by the hard work each band member. The grade 3 band has gone on to have some of the top performances in their competitions. This season also began the competition career for grade 5. They attended local competitions and played exhibition events introducing many players to the competition circle. 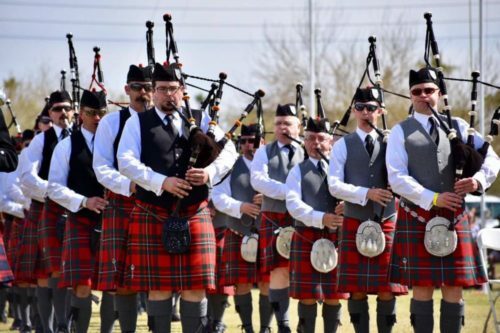 In 2018, the band become a 501(c)(3) non-profit organization to further fund their passion for bringing Scottish music to Arizona and sharing the band’s efforts with the pipe band world in Arizona and around the world. At the end of the season, Kyle Reich stepped down as drum sergeant, but still continues to support the band in an instructor roll, and Jack Johnson stepped down from grade 5 naming Neil Bacon pipe major. The 40+ current members of the Phoenix Pipe Band practice on Thursday evenings in Mesa for the grade 5 band and twice monthly on Saturdays in Paradise Valley for the grade 3 band. Piping and drumming lessons are available for new students or musicians looking to further their playing ability. Both new and experienced pipers and drummers are welcome to Phoenix Pipe Band and we look forward to welcoming you to our family.